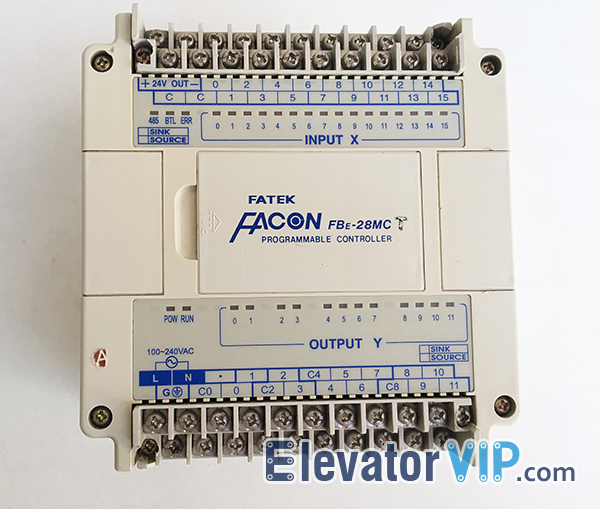 What is the Elevator PLC? Elevator is an important means of transportation in modern buildings, which is related to the safety of people’s life and property How to improve the efficiency of elevator operation, reduce energy consumption of elevator, reduce mechanical wear and prolong the service life of elevator are all very important research topics. Elevator is a complete set of equipment used for fixed elevations in floors. It has characteristics of safe, reliable, comfortable, accurate, easy to operate and transportation efficiency. It consists of lifting traction system, guiding system, safety device and electric control system. At present the elevator control widely adopted two ways, one is using microcomputer as signal control unit, to complete the elevator signal acquisition, running status and the function set, realize automatic scheduling and collection operation function of the lift, drag the control are done by frequency converter; The second control method USES PLC (Programmable Logic Controller) instead of microcomputer to realize signal set selection control. In terms of control mode and performance, the two methods are not much different. Most domestic manufacturers choose the second method because of the small scale of production and the high cost of designing and manufacturing microcomputer control devices. PLC has high reliability and flexible program design. This design USES Mitsubishi, FX2 series PLC to control the displacement sensor of static magnetic grid to control the elevator flat layer. 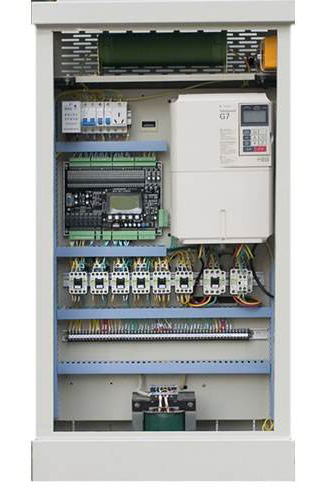 Elevator controller main components are: control panel or controller, transformers, bridge pile and capacitance, air switch or fuse, relay and contactor, drive, power cables, signal lines, terminals or connectors and other components.